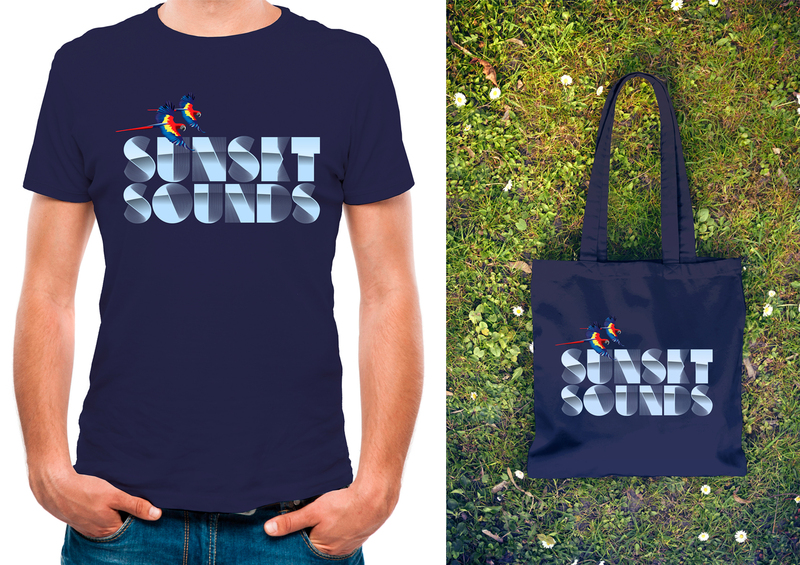 Client: Sunset Sounds is a two day music and arts festival held at the Brisbane Botanic Gardens in January each year. The festival is an easy-going afternoon event which meanders through the evening. It features an international lineup of performers and is packed with smooth grooves and rocking tunes aimed primarily at a 20-30 year old party-going market. Brief: Our brief was to create an identity for the festival which was fun, enticing and captured the lively culture of Brisbane. 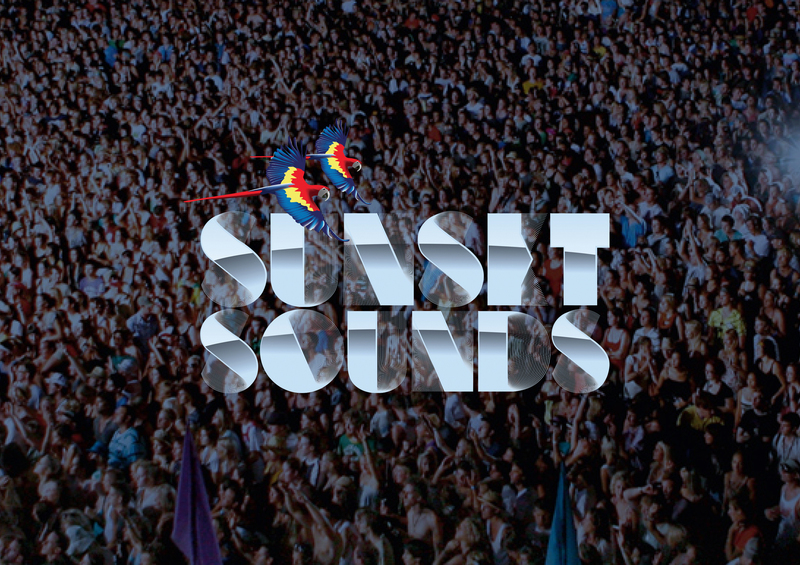 We were to incorporate unique aspects of the event such as the sunset, the gardens, the proximity to the city and the heat of a summers afternoon. Solution: By using illustration, lively yet moody colours and eye-catching typography we established a highly successful identity and advertising campaign. The chosen identity was based on Miami style Art Deco which aligned nicely with the tone of the event, the heat and the city of Brisbane. 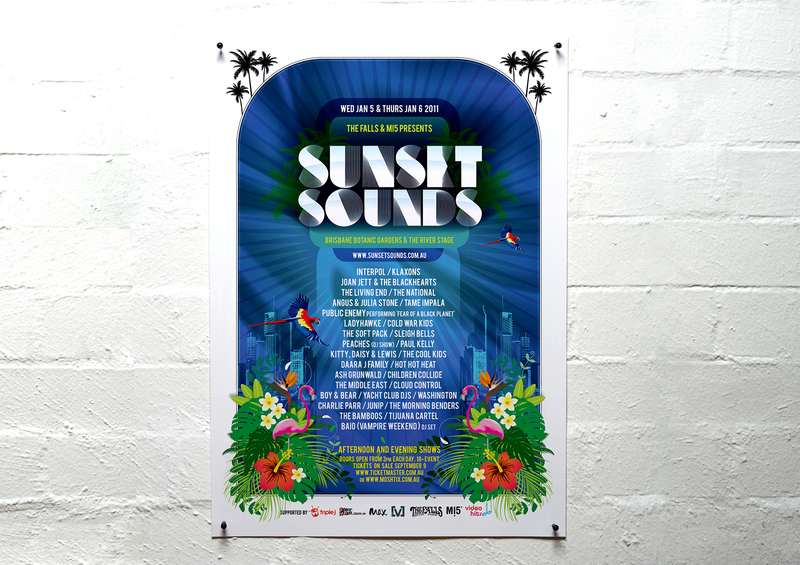 Result: Sunset Sounds drew the crowds and resulted in a sell out event on both afternoons.